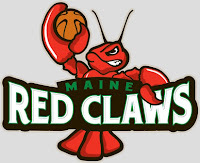 Veteran guard Mario West picked up the first triple-double (27 pts., 10 assists, 10 rebounds) in Red Claws history and the first of his career to lead Maine to a 117-94 win over the visiting Fort Wayne Mad Ants (19-23). Despite getting the overtime win last night in Springfield to move into the eighth and final playoff spot, the Mad Ants could not carry the momentum up to Maine. Despite the loss, Fort Wayne maintained their slim ½ game hold on their postseason bid. With the win, Maine continues to cling to hope of making the postseason for the first time in the team’s two-year history, trailing the 8th place Ants by 4 games. The Red Claws had a phenomenal night shooting the ball, shooting 55% from 3-point land and 64% from the floor but still struggling from the line at 58.8%. Fort Wayne kept it close until half time with a score of 57-52 only to see Maine end the third quarter on an 11-5 run to up the score to 84-75. The Red Claws never looked back, outscoring Fort Wayne 60-42 in the second half. Red Claws rookie forward DeShawn Sims, who entered the night as the league’s 6th leading scorer, continues to make a strong bid for Rookie of the Year honors, leading all scorers tonight with 29 points. Center Bamba Fall picked up his first Red Claws double-double with 10 points and 10 rebounds while rookie guard Jamar Smith just missed with 10 points and 9 assists on the night. In all, seven Red Claws players ended in double figures. Adidas player of the game honors went to Mario West for the third straight game. Six Fort Wayne players finished with double digits, with Roderick Wilmont leading the Mad Ants with 19 points and Marvin Phillips adding 16 off the bench. Derek Raivio, still trying to get his feet wet playing in a new offense since being traded on February 27, added 10 points, shooting 50% from the floor. Fort Wayne will host the Springfield Armor for a pair next Thursday and Saturday to close out their season series with the Armor while Maine returns to action next Friday with the first game of a two-game home set with the Texas Legends, the first-ever visit to Maine by the expansion franchise led by Head Coach Nancy Lieberman. The game will be “Larry Bird Bobblehead Night” with the first 1,000 fans through the turnstiles receiving the collectible. It was also be “80’s Night” with fans receiving $5 entry to see the popular 80’s cover band Orange Crush at Asylum following the game when they show their ticket stub.